Jedi Academy series: Most of the books in this series are written at Reading Level R, including: Jedi Academy Book 1, Return of the Padwan, The Phantom Bully, and Attack of the Journal. Big Nate series: Several books in the Big Nate series are written at this level. Most are just one level up -- Level S -- but these three books are at level R: Big Nate Strikes Again, Big Nate Out Loud, and Big Nate Boredom Buster. [FYI: There are three other book in this series. They are written at level P.]. 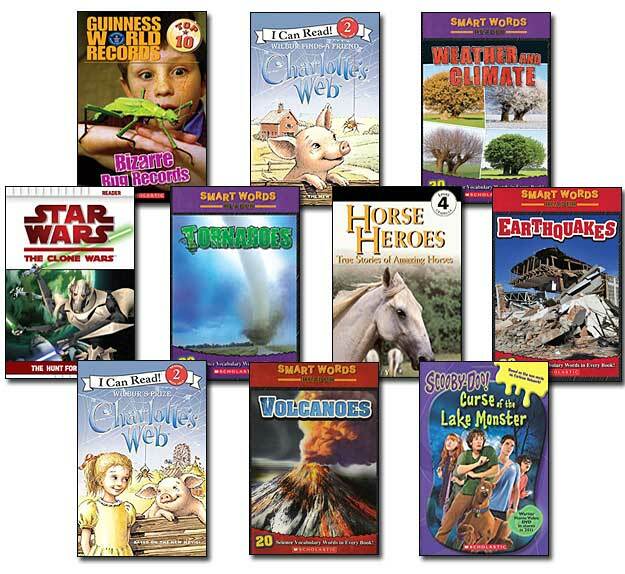 Hank Zipper series: Many of the books in this series are written at Reading Level R. We've just barely learned about this series (co-written by Henry Winkler -- the Fonz!) They are apparently very popular with kids, especially boys who struggle a bit in school. We will look into them more, but in the meantime we thought we'd let you know about them. Brian's Saga series: Four of the five books in the Hatchet / Brian's Saga series are written at this level, including: Hatchet, The River, Brian's Winter, and Brian's Hunt. (The only book written on a different level is book 4: Brian's Return, which was written on level T). We sell individual books and sets of books written at level R. Our books are used, but they are also in great condition--ranging from like new to good. Click the link to see the sets that are currently available.